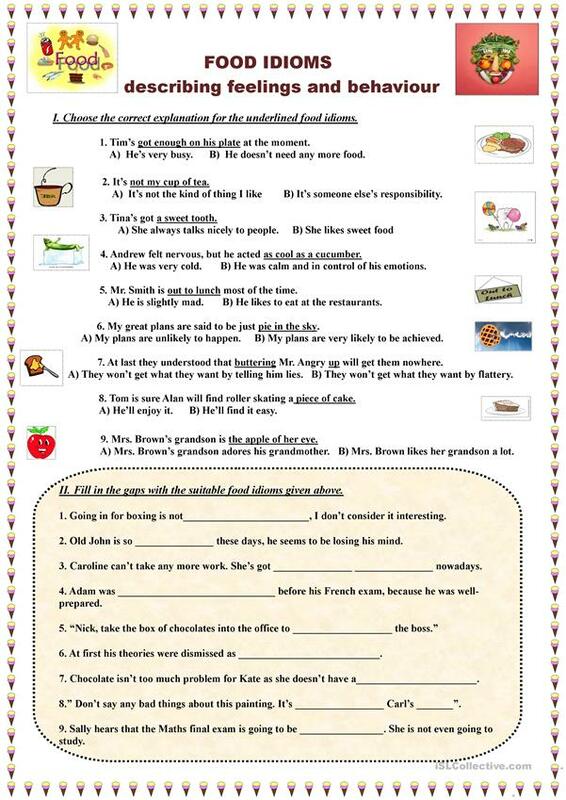 The worksheet contains exercises dealing with 9 English idioms describing people's feelings and behaviour, key is given. This downloadable worksheet is best suited for high school students and adults at Pre-intermediate (A2), Intermediate (B1), Upper-intermediate (B2) and Advanced (C1) level. It is aimed at consolidating Formal and informal English (politeness or colloquial language) in English, and can be used for working on your pupils' Spelling, Reading and Writing skills. 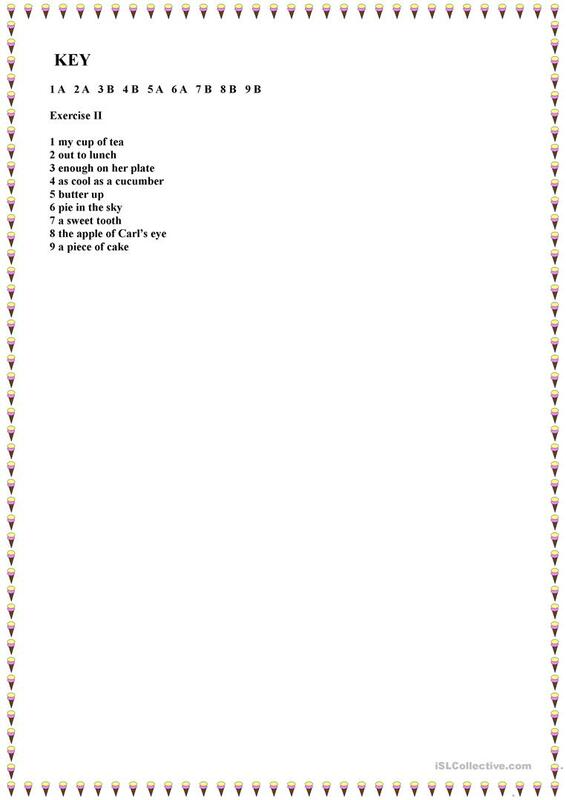 It is about the theme of Idioms. It includes the answers, too.